Goodreads Summary: Who would have guessed that four minutes could change everything? Today should be one of the worst days of seventeen-year-old Hadley Sullivan's life. She's stuck at JFK, late to her father's second wedding, which is taking place in London and involves a soon to be step-mother that Hadley's never even met. Then she meets the perfect boy in the airport's cramped waiting area. His name is Oliver, he's British, and he's in seat 18C. Hadley's in 18A. How much sweetness can be wrapped up in one book? 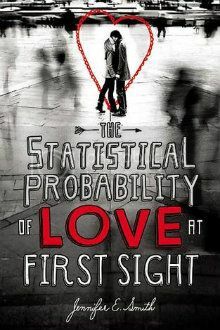 The Statistical Probability of Love at First Sight sets a new standard for that. From the cover to the characters and the story itself, this book will make you fall in love with everything and fall in love with love all over again. Hadley Sullivan would be perfectly fine not going to her father's wedding, thank you very much. She's never met her soon-to-be stepmother and has no burning desire to do so. After the way her parent's marriage ended, Hadley has stuck by her mother and intends to keep it that way. As luck (or fate) would have it, Hadley misses her flight to London by four minutes and is stuck waiting for the next one. Hadley decides to go through with the trip, and it is in the waiting area that she meets Oliver, a British student at Yale who offers to help with her bag. As it turns out, they are seated in the same row on the plane. And thus begins a true trans-Atlantic relationship complete with both laughter and tears. Over the course of 24 hours both Hadley and Oliver learn a great deal not only about each other but also about themselves. I am one of the people who is always on the fence about "love at first sight." I've heard people swear that it's true, but I suppose that until it happens to you, it's something that is hard to believe or accept. But Jennifer Smith's book may have made me rethink that a bit. There is no doubt that Hadley and Oliver have an instant connection, and yet (thank goodness) there are no immediate declarations of eternal love. Instead, their relationship develops just like any other might, from Oliver's first chivalrous actions, to both deep and lighthearted conversations on the plane, to elaborate gestures that prove that Hadley and Oliver are not simply travel companions. Moreover, these are not simply happy people skipping blithely through the fields of love. Both Hadley and Oliver have real issues to face, and I loved that even though their situations were different, they were able to help each other. Their conversations are by turns tender, touching, and funny, and when I closed the book I still wanted to see more of their relationship. This book also explores familial relationships, something that is so often overlooked in YA novels. I really enjoyed reading about Hadley's relationship with her dad as she recalled their shared memories and looked to a future that would be seemingly empty of any true closeness. I especially loved their shared love of literature and all of the references to other books...and yes, even the way quotes from Dickens run throughout this book. One other thing that I found interesting - Smith's writing style and the voice (third person present) is different from what I have seen before. It took me a bit to get used to it, but once I did I was quickly swept away by the story. While everything about The Statistical Probability of Love at First Sight may not be peaches and cream, I think it is safe to say that despite the bittersweet moments, you will still have a smile on your face. 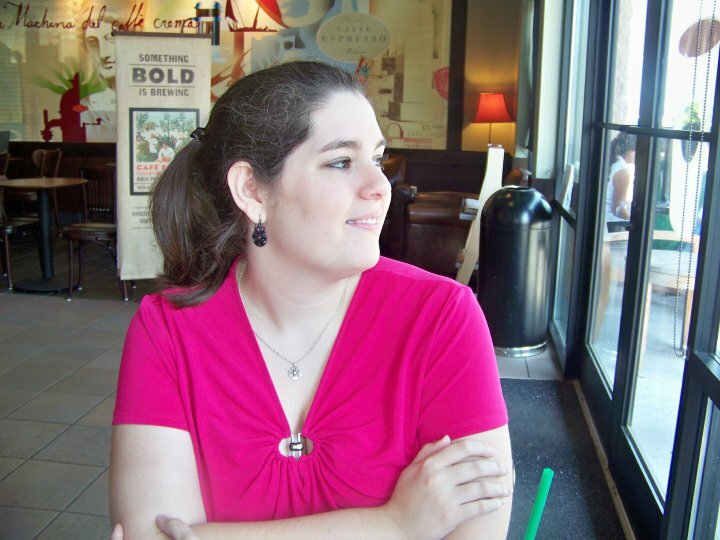 I look forward to seeing what Jennifer E. Smith writes next!